272 pp., 137 photos, ISBN: 978-0-7864-6856-0, Softcover. $39.95. Monuments of stone and statues of bronze have honored victorious armies and successful leaders through much of recorded history. Following the American Civil War this commemorative tradition expanded to include soldiers of the defeated Confederate States of America (CSA). 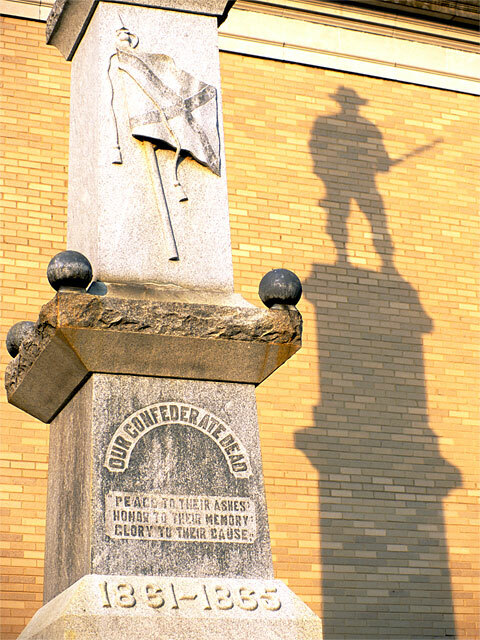 By the early 20th century, cemetery memorials and courthouse soldier statues honoring the Southern dead and surviving veterans were regional icons, and men of the Confederate army ranked among history’s most commemorated troops. 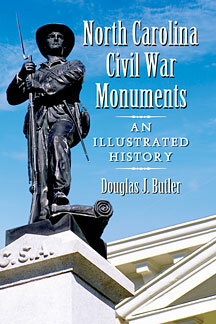 North Carolina Civil War Monuments: An Illustrated History is a carefully researched book with 137 photographs which details North Carolina’s commemorative response to a war in which more than 30,000 of its soldiers died in military service: 101 Confederate monuments – and eight Union memorials, including one honoring African American troops – were dedicated across NC between 1865 and the Civil War centennial in 1961. The location, design, funding and dedication of these soldier statues reveal a society’s evolving grief and the forging of collective memory. Committee minutes of United Daughters of the Confederacy (UDC) chapters, financial accounts of Ladies’ Memorial Associations (LMA), legal documents, and contemporaneous accounts are quoted, highlighting the challenging and often contentious process through which these monuments were realized. Manufacturers’ catalogs and advertisements, as well as spirited editorial exchanges in newspapers and magazines, provide further insight into the sculptural, technological and cultural milieu in which these North Carolina monuments, memorials and commemorations were raised. Photographs by the author, an award-winning photographer, illustrate each monument and provide an invaluable record of all 109 memorials early in the 21st century. Additional images showcase sculptural details, while paired appendices, Union and Confederate, summarize key data in an easy-to-use tabular reference. 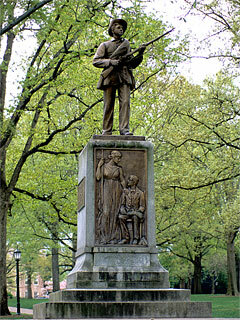 Monument prose by Orren Randolph Smith, a prominent local citizen widely credited with designing the first Confederate national flag. Sponsored jointly by UNC alumni and the United Daughters of the Confederacy, this statue was designed by John Wilson and cast by the Gorham Co. of New York. Sam is considered “silent” because, although armed, he does not wear a cartridge box. Three hundred twenty one UNC students, alumni, and faculty died fighting for the Confederacy. Dr. Douglas Butler is an independent scholar and practicing physician living in northwestern North Carolina. For twenty years this award-winning photographer explored remote areas across five continents, sharing these adventures through prose and image. 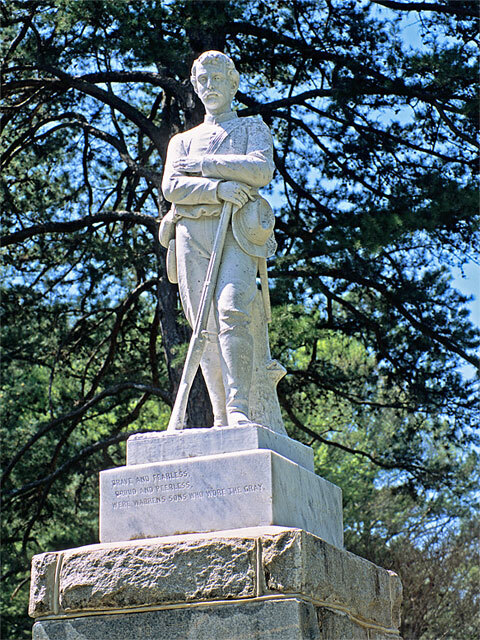 During the past five years his travels have been closer to home as he studied the history of North Carolina’s Civil War monuments and photographed each of the state’s 109 commemorations raised in the century after Appomattox. 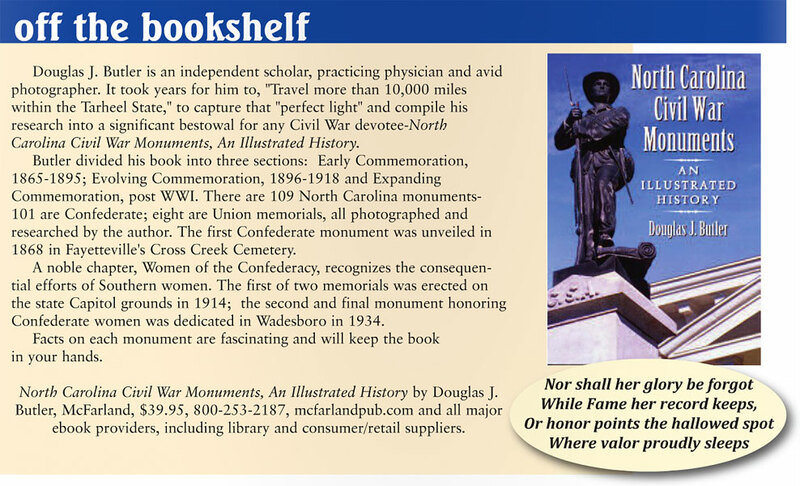 North Carolina Civil War Monuments: An Illustrated History (McFarland, 2013), a carefully researched and fully documented book with photographs of each monument, is the result—as is a traveling photo exhibition. 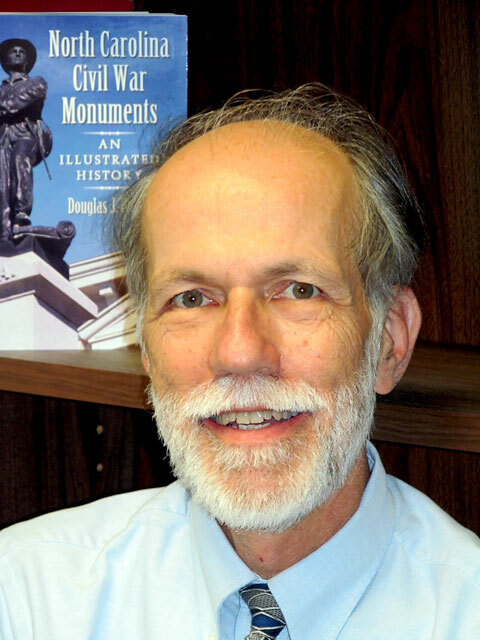 Butler’s work has been featured in regional and national publications, and he has written two previous books, Ashe County: Discovering the Lost Province (1992, out of print) and A Walk Atop America: Fifty State Summits and a Dream to Reach Them All (Parkway, 2007).